This is officially the last week of school for my boys! I have to go until June 4, but it doesn’t mean summer can’t start this weekend. We have some fun events coming up for not only momma, but the whole family! We are heading out early to be ready for the peony season opener at Red Twig Farms. I am excited to make an arrangement of beautiful peonies and other flowers for our table to kick off the summer. 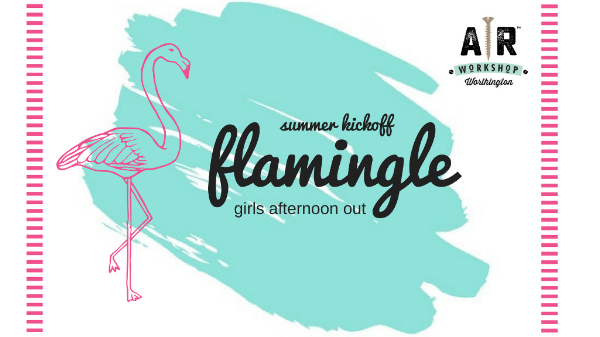 My sister in-law and I are going to head to Worthington to the AR Workshop for their Flamingo Girls Afternoon Out. This fun event is from 12:00-2:00 and consists of a $5 make and take from AR Workshop, plus pop-up experiences from local businesses: Bubbles Tea, Birch, Beautycounter, The Boutique Truck, and W Glow Bar. Click on the link to RSVP and come have some fun with your gal pals. The Worthington farmers market will also be taking place before hand. You can read about a fun event that I attended with my two oldest sons at AR Workshop here. At 4:00 we are packing up the family and heading down to Columbus Commons for the season kick-off of Family Funday! We are excited to play and enjoy the outside and watch The Greatest Showman in downtown Columbus. Thanks to Columbus Commons and their #uncommonsummer giveaway, we won two wrist bands for inflatable fun. They can also be purchased at the event for $5 each. This is always a fun and affordable event. We pack blankets, snacks, and drinks to enjoy during the movie. Food is also available for purchase from Tortilla and Jeni’s. We are looking forward to attending the ice cream festival for the first time as a family. Our boys have been a couple of times with the grandparents, but my husband and I have not gone. The boys love to ride the train around and all three are huge ice cream fans. I am looking forward to seeing some of the crafts and vendors and experiencing another fun family day. Our neighborhood pool opens up on Friday for the season and we will be sprinkling that in when we can all weekend. What are your weekend plans?